This is my brother, Marc. He is at UCLA to have high-dose chemotherapy and a stem-cell transplant. 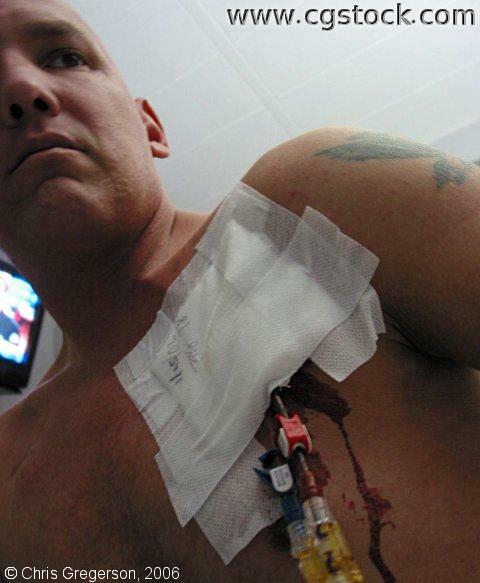 He has a central-line catheter, which is leaking blood in this photo.